Follow-up Service｜Manufacturing and Cost Management System's Ammic. AMMIC keeps improving along with our customers. 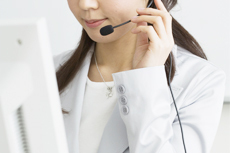 For follow-up support, you can rely on our product specialists to address your concerns. As long as the customers keep using, AMMIC will never end up the support for the old version. Regarding the system installation or the questions regarding the use of our product, you may get in touch with us via telephone, emailor fax. If necessary, operation service such as deletion and backup of the past data are supported. System and documents for the version up will be provided. In the version up, more satisfied and more easy-to-use functions are implemented. The functional confirmation and necessary modification, due to server update, and OS or middleware version up can be done as paid service.